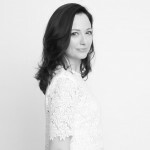 May heralds the arrival of summer and the sun's intense influence on beauty and fashion—and your skin. This month, we have ways to protect that sensitive skin from damaging UV rays and help for your lashes with protective, nourishing serums—as well as some natural and innovative ways to sculpt them for the perfect summertime look. 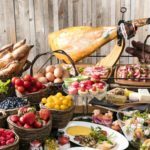 The beauty world is always looking for new innovations or a super ingredient to boost the performance of skincare products, and carbonic acid appears to be the ingredient of choice at the moment. Visit the local drugstore and you see it now in everything from bath salts to face masks. This multipurpose ingredient is known to be beneficial to the skin in a number of ways. It works well as as a deep cleanser, without striping essential moisture, and it also helps to firm and brighten the skin. 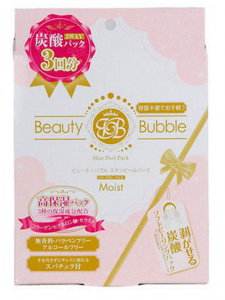 One of the most popular Japanese masks at the moment is Beauty Bubble Co2 Peel Pack (¥400 for 1 mask), a carbonic acid peeling gel pack that promises to improve the hydration, firmness and brightness of your skin. There is quite a lot of novelty involved with this mask—the mixing of the ingredients together, the bubbling orange gel and the peeling off of the mask at the end. I was a little nervous that the mask was going to be too intense for my dry, sensitive skin; but when I peeled it off there was no redness or sensitivity—just a clearer and brighter complexion. 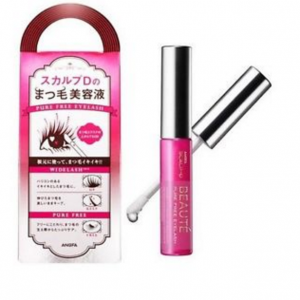 Beauty Bubble CO2 Pack is available at Tokyu Hands, Loft, Ainz & Tulpe and others. When you are tired, overworked or jet-lagged your peepers tend to be the first place to show it. When the skin around your eyes is crying out for a little extra care, a nourishing mask might be just what you need. Given the love of sheet masks here in Japan, I’m surprised that they haven’t yet gained the popularity they have in Korea (where women buy them in bulk). But before a recent overnight flight, I saw the Manuka Cosmet Bee & Honey rich eye mask and quickly grabbed one to try. The Manuka Cosmet (¥400) is infused with a hydrating, nourishing and brightening combination of ingredients including (you guessed it) manuka honey, collagen, hyaluronic acid, royal jelly and pomegranate extract. New Zealand’s famous honey is well-known for its skin hydrating and anti-aging properties, which is perfect for use on the delicate area around the eyes. 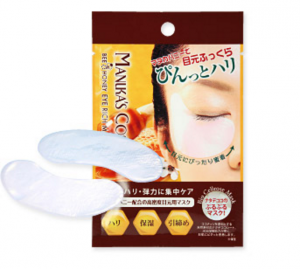 The mask is a mini sheet designed for use just around your precious baby blues. It’s shaped to sit right on the socket contour and cover from the side to right over the nose. These gently stick to your skin, unlike sheet masks that just sit on top of the skin, so you don’t have to worry about them sliding down your face as you wear them. You simply apply it gently to the eye area for 15 minutes or so, and let the serum do its work. Perfect for hiding under you sleep mask on the plane while you get some shut eye. Available at Natural Lawson and specialty beauty stores. Applying perfect liquid liner can be difficult to master, an effortless flick of eyeliner is actually anything but. 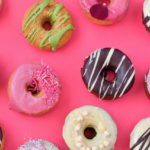 It takes considerable practice to get the desired shape right, and the smallest shake or wobble can result in having to wipe it all off and start again. In my eyes (pun intended! ), anything that helps make the job easier is worth a try! So when I saw that Mote’s Liquid Eyeliner (¥1,500) has been developed as an “easy draw” liquid liner, I was eager to give it a try. Calligraphy is something that the Japanese are famous for, so it makes perfect sense that Mote have used traditional techniques of Japanese brush craftsman to develop a state of the art liquid liner brush. It also boasts the world’s first octagonal-shaped product casing, ergonomically designed to prevent hand shaking and help you draw the perfect line. Combine this with a quick drying, long lasting formula that is resistant to sweat and tears (but easy off in hot water) and you have—liquid liner perfection. 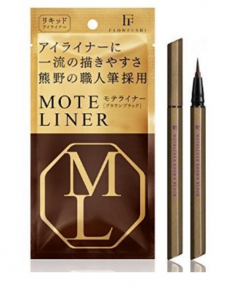 I’m still trying to perfect my feline flick of eyeliner, but I have to say Mote is one of the easiest I’ve tried—and it really does stay in place all day without smudging or fading. The black/brown shade is now my go-to liner. It’s extremely flattering and easy to wear, particularly good during the day, when black liquid liner can be too bold and obvious. Available at all Japanese drug stores and all beauty stores. Eyelash essence and serums are everywhere at the moment—it seems that I’m not alone in my ongoing pursuit of longer, thicker lashes. Mine are definitely not what they used to be. After months of constantly wearing extensions, their condition was poor, and even after more than a year extension free, some lashes still stubbornly refuse to grow. I tried two eyelash serums (one drugstore and one department store brand) with zero visible results, so I was skeptical when someone recommended Pure Free Eyelash Serum (¥1,730). After some research, I decided to give it a try, not only because of the overall positive reviews, but also because Angfa (the company that produces Pure Free) specializes in hair-loss products for men and women, so it makes sense they use that technology for eyelashes as well. Pure Free serum formula is designed to nourish the lashes at the root, resulting in stronger, thicker and longer growth. To use, you apply the serum twice a day—to both upper and lower lashes—by painting on the clear serum at both the base and along the length. During the day, it’s fine to wear Pure Free under your usual mascara. I’m happy to report that after three weeks of vigilant use, I’m starting to see the condition of my lashes improve. My previously fragile cilia are slowly getting thicker and stronger. I’m definitely not ready to put away the mascara just yet, but I’m happy with what I see so far! Available at beauty stores like Tokyu Hands, Loft, Ainz & Tulpe. The warmer weather is now here, and in Japan that means sun protection to the max. 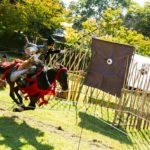 The Japanese take daily sun protection to the extreme, with a multitude of UV-cut products available: from clothing, gloves, arm covers and hats to the world-renowned (and awarded) Japanese sunscreen. 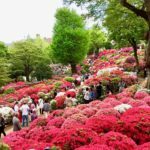 There are so many good Japanese sunscreens to try from both the drugstore and department store brands, it can be difficult to choose. My latest favorite is RMK’s UV Face Protector 50+ (¥3,250), a water-based UV cream with a very high SPF 50+ broad spectrum formula, which means it protects against both UVA and UVB rays. This is a perfect everyday sunscreen product, which wears really beautifully by itself or under foundation. The formula contains a bevy of moisturizing ingredients, such as baby peach, royal jelly, beta carotene and licorice extracts—which help counteract the dehydrating effects of sun exposure. 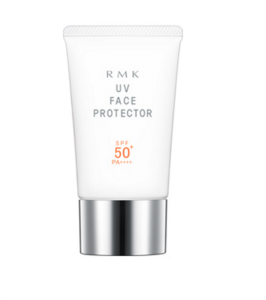 After application, the RMK UV face protector blends seamlessly into the skin leaving it with no white cast, and soft and smooth without being greasy. This formula is perfect for dry or dehydrated skin types. Available at RMK’s flagship store in Aoyama and department stores.